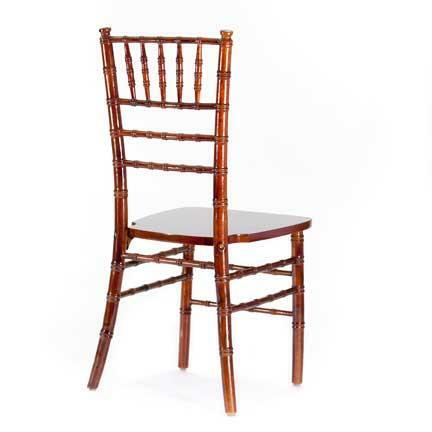 Mahogany Chiavari Chairs are a classy and popular choice for chairs. They look great in a formal setting and bring class to a wedding. They are light and comfortable. Chiavari Chairs can be accented with different colored chair pads or with sashes tied on the back. This product can not be shipped.